New from the Fibre Company. 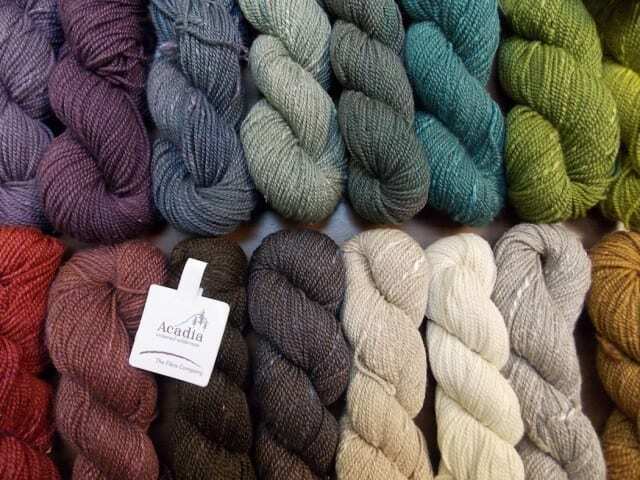 About a year ago, we introduced Acadia, a beautiful and unique dk weight yarn from the Fibre Company, a small yarn company out of Pennsylvania. 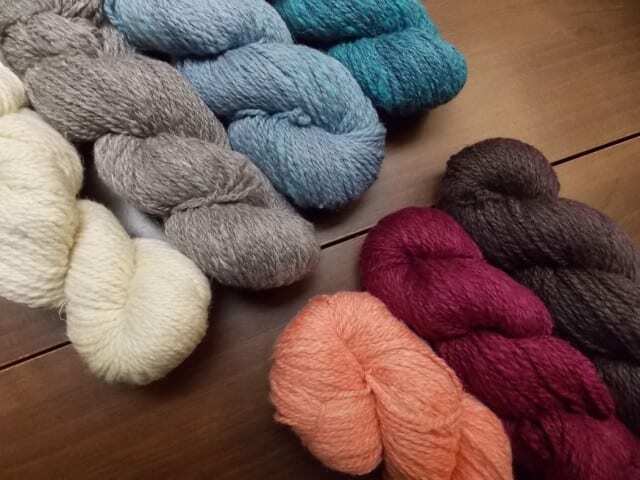 We were dazzled by their array of natural fiber yarns when we saw them at TNNA, but limited ourselves to just one yarn in a small selection of colors, not knowing if our knitters and crocheters would fall for the yarn as hard as we did. 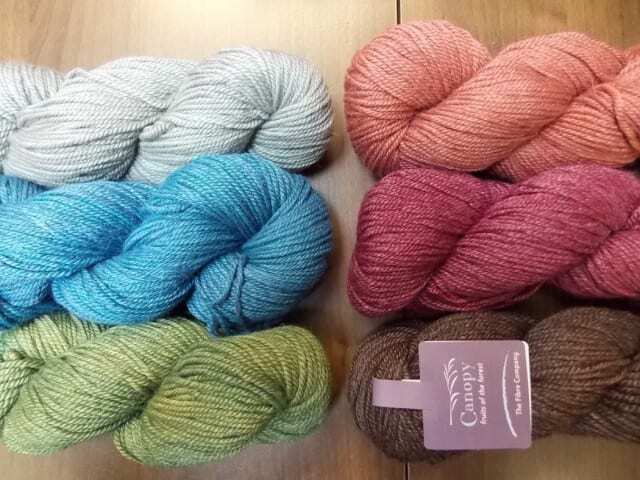 In a quick succession of reorders that brought more and more new colors and project ideas to the shop, it became clear that the Fibre Company would be heartily embraced at the Hillsborough Yarn Shop. We allowed ourselves to go a little further this year, bringing in three additional Fibre Company yarns. The first two are here, and the third is expected in early October. 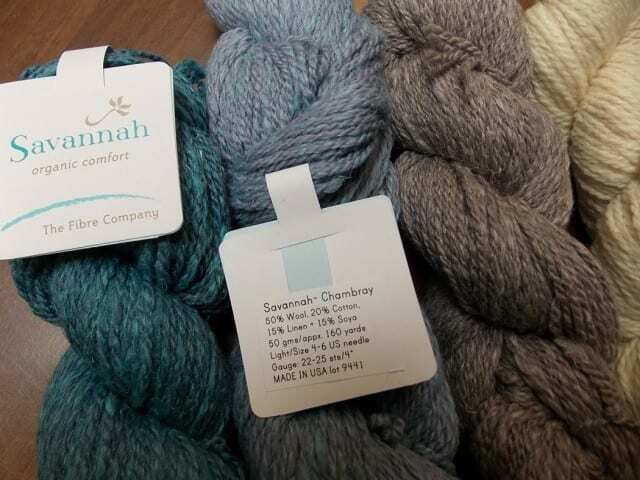 Say hello to Fibre Company Savannah and Canopy Worsted! Savannah is a sport weight blend of 50% wool, 20% cotton, 15% linen, and 15% soya, which is spun and dyed in the US. The wool content gives elasticity to all those plant fibers, and each fiber takes the dye a little differently, giving the colorways a rustic heathered look. We think Savannah is a perfect blend of fibers for our Southern climate, suitable for all-seasons garments and accessories. Canopy Worsted is a light worsted weight blend of 50% baby alpaca, 30% merino wool, and 20% viscose from bamboo. This blend of fibers makes for a lustrous, drapey fabric that still has great stitch definition for texture patterns. 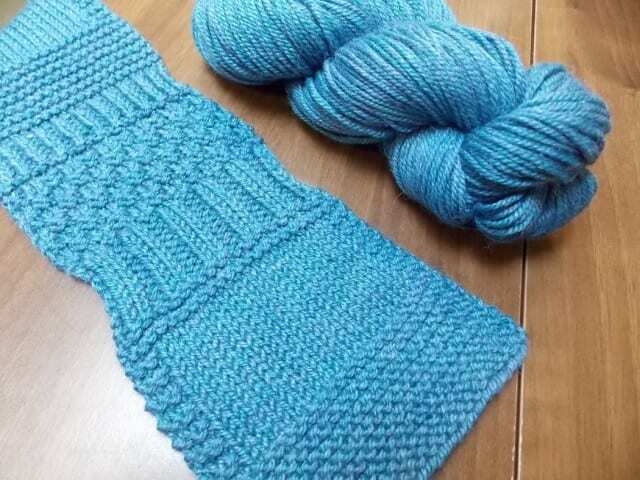 Anne and I both worked on a Canopy Worsted swatch, and neither of us wanted to put it down. Yours truly has already acquired a sweaters’ worth, and put everything aside to cast on for said sweater. That said, Canopy Worsted is also well-suited to smaller accessories like scarves, cowls, hats, and shawls. For a more structured garment, like fingerless mitts, consider going down a needle size or two for a sturdier fabric. 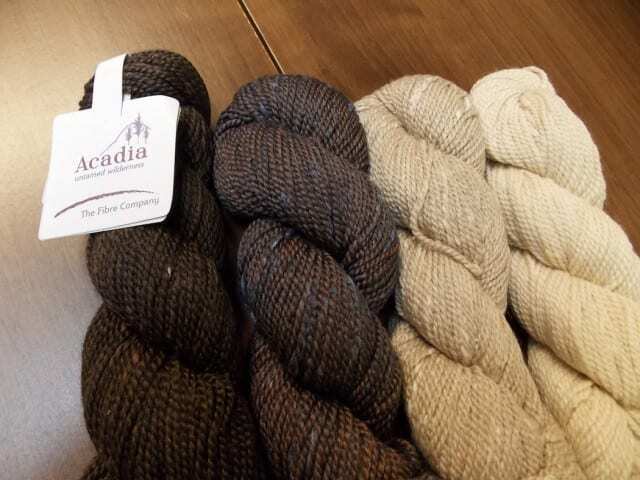 We’re still suckers for Acadia, too–the Fibre Company made four new colors for Fall, all in neutral shades, and we ordered two bags in each color. They fill out the ever-growing Acadia spectrum nicely. Come by the shop to see all these new yarns from the Fibre Company, and to plan your next project. We’re planning some exciting events featuring the Fibre Company in the coming weeks–stay tuned! Nice! I’ll be in sometime this weekend to take a closer look.